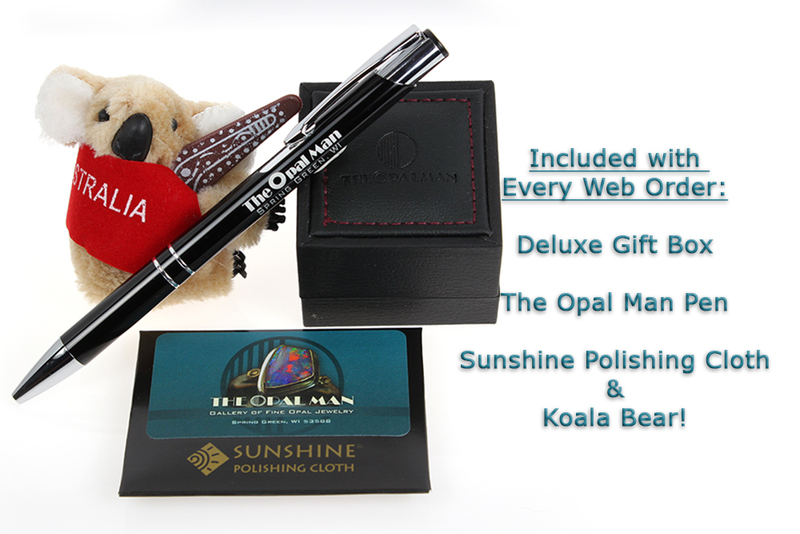 Spectacular multi-color free-form Australian opal doublet set in 14k white gold ring with encircling arches of gold and diamonds. 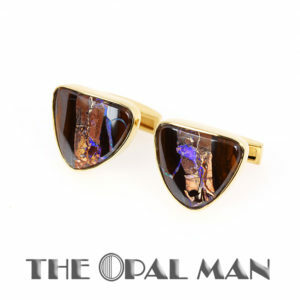 This opal has it all! All the colors of the rainbow, broader flash on one half and pin-fire flash on the other. A truly wondrous piece. Size: 6.75 Please call if you have any questions about resizing. 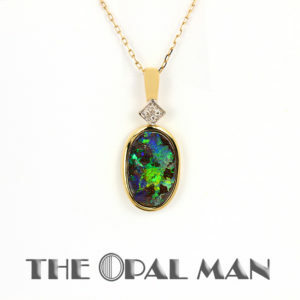 Australian Koroit Boulder Opal Pendant in 14K Yellow Gold with Diamonds – Stunning.